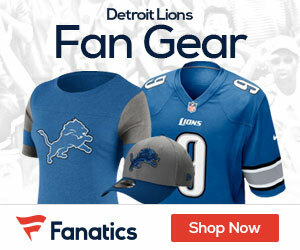 The Lions have some of the bad boys in the NFL, and today NFL.com wrote about how Lions President Tom Lewand has met with NFL commish Roger Goodell about players on Detroit being suspended and some of the potential discipline coming for those players. Three members of the Lions’ 2011 draft class have combined for five arrests this offseason. 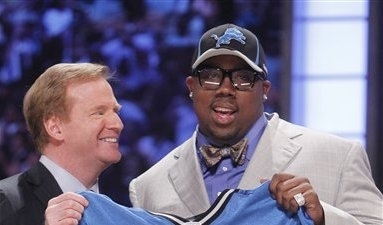 First round defensive tackle Nick Fairley (marijuana, DUI) and second running back Mikel Leshoure (two marijuana-related arrests) were arrested twice, while seventh round offensive lineman Johnny Culbreath kicked off the arrests with a possession of marijuana charge in January, all three players are subject to discipline under the league’s substance abuse policy, with Fairley and Leshoure facing possible suspensions for being repeat offenders. Fairley would forfeit $48,500 (1/17th of his $824,500 base salary) for each week he’s suspended, while Leshoure would lose $27,353 (1/17th of his $465,000 base salary). Alex Marvez of FOXSports.com reported that multiple player suspensions under certain policies, including substance abuse violations, has been in contact with NFL Commissioner Roger Goodell about potential discipline, but would not discuss what punishment may be coming down the pike.